"Drones will complement the strategies of complex supply chains and cultivate a culture that focuses on innovation. Drones will eventually provide more control/consistency of last-mile logistics, which will improve industry efficiencies; however, we are years from realizing this full potential." While drones may appear as hype to some, they are very real, and will soon be used in practical ways. As the world continues to move at a faster pace, same-day delivery models will become the industry norm ; and drones will be an integral part of that last-mile solution, helping to meet customer demands. 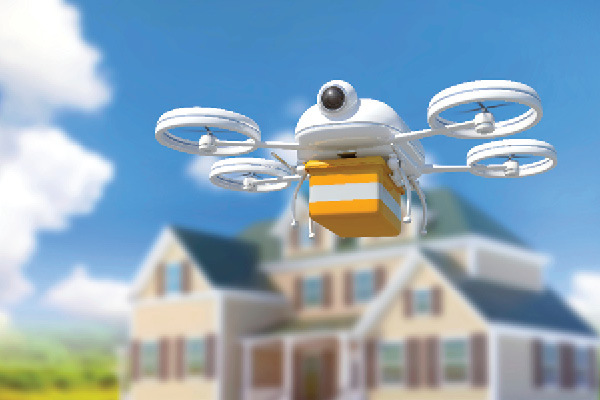 Drones will have a limited niche role in residential parcel deliveries due to hazards and the economics of transporting packages. While there may be some feasible applications, the future of residential parcel delivery is with USPS and crowdsourcing applications. Depends on your horizon. Next one to two years? Hype. Next two to four years? Warmer. Five years and later? Definitely. Clarification of FAA regulations and limitations of battery technology are the biggest issues holding us back. Drones are increasingly being used in warehouse environments for surveillance and automating certain logistics operations. They could provide reliable and cost-effective last-mile delivery to remote and rural locations. While there have been many advancements in the design, cost, and application of drone technologies, it's mostly hype when associating this with last-mile logistics solutions. Restrictions in travel distance, payload capacity, and regulatory requirements limit drones' applicability to high-value, lightweight, and emergency deliveries. In the short term, they may be used for remote or complex locations that are challenging for trucks, vans, or courier delivery. A better option is self-driving/autonomous electric vehicles and a package handler for last-mile delivery to the customer's door. There are too many logistical issues and regulations with drones.